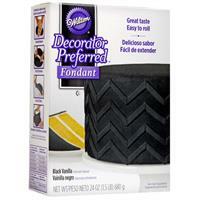 Wilton Decorator Preferred Black Fondant 24 oz. Wilton Decorator Preferred Blue Fondant 24 oz. Wilton Decorator Preferred Green Fondant 24 oz. Wilton Decorator Preferred Pink Fondant 24 oz. Wilton Decorator Preferred Purple Fondant 24 oz. Wilton Decorator Preferred Red Fondant 24 oz. 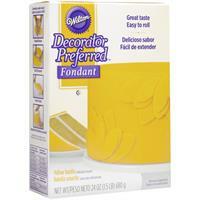 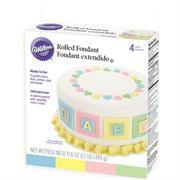 Wilton Decorator Preferred Yellow Fondant 24 oz. 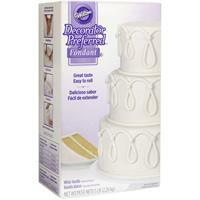 Wilton Decorator Preferred White Fondant 24 oz. 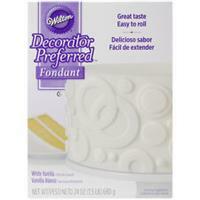 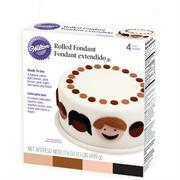 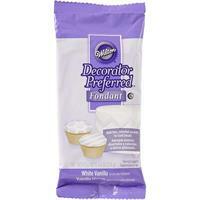 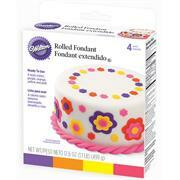 Wilton Decorator Preferred White Fondant 5 lb.